Network: VTV, StoryOn channel, Channel M.
Episodes: 36 (45 minutes/episode) The first 20 episodes was filmed in Korea, the rest 16 episodes was shot in Vietnam. All over Asian countries: HongKong (TVB, PCCW,..), Singapore (Starhub, Singtel), Malaysia (Astro, TMnet), Indonesia (Indovisiom,Telkom vision, AoraTV,..) Taiwan (CHT, TBC,Kbro,..), Thailand (CTH, GMM, True,..), Philippine (Sky cable, Cignal,..), Myanmar, Campuchia, Australia.. In Vietnam, VTV finished broadcasting the last episode in 23 April 2015. The story is about a young Vietnamese girl, Linh, who is like the biggest K-pop fangirl. For so, she had persuade her parents to let her study abroad in South Korea, her favorite country. There, Linh had met and fall in love with Jun Soo, a young trainee in KM who will eventually later on turn into one of the most famous celebrities in Korea. But life isn't always that sunny; they had to battle through out many challenges (including the existence of one another) to be able to cooperate with one another. The series focused on friendship, love and the all the fun of being young. This is a very touching clip that fans have made for Ling/Su couple. Hi! I'm kinda new here. Do you know where to watch this with eng subs? Thank you and forgive me for the noob question. Hi! I'm kinda new here. Do you know where to watch this with eng subs? Thank you and forgive me for the noob question. . Right now, there is no where for us to get the Engsub version yet. If your TV has channel M, you could wait until 6 July to watch the drama with Engsub daily. If not please wait until we upload the Engsub version online, we are working on that. Hopefully our effort is going to paid off. Các bạn VN thân, mình đành phải viết tiếng Việt ở đây khi ở trang trước mình đã viết tiếng Anh nhờ các bạn lưu ý nhưng chắc không mấy ai để ý.
Mình rất cảm ơn các bạn đã ủng hộ topic vì chúng ta đều muốn quảng bá phim. Tuy nhiên các bạn vui lòng đừng làm loãng topic bằng cách quote quá nhiều bài có hình ảnh, theo luật của diễn đàn là không được quote ảnh đâu. Chưa kể các bạn đừng post lại các hình ảnh hay clip mà đã được post trước đó. Các bạn cũng đừng post liên tục các bài liền nhau mà chỉ vỏn vẹn 1 vài từ. Như vậy được gọi là spam đấy. Chúng ta hãy giữ topic được gọn gàng nhiều bài viết chất lượng chứ đừng để rối mắt. Các bạn cũng thấy mình và một số bạn chăm chút từng bài viết thế nào để thu hút sự chú ý của các bạn quốc tế. Do vậy mong các bạn hãy cố gắng giữ gìn điều đó bằng cách viết các bài chất lượng hoặc những hình ảnh hiếm hay clip thật hay. Đừng post tràn lan hình ảnh lặp đi lặp lại vì có thể sẽ gây phản tác dụng, các bạn fans qt sẽ không còn hứng thú vào đây đọc nữa đâu. Hãy ủng hộ bằng cách viết cảm nhận nhé. Hãy edit lại các bài mà các bạn post trùng bằng cách xóa nội dung bên trong và đưa nội dung mới vào. Như vậy topic của chúng ta trông sẽ chuyên nghiệp hơn. Mọi người cố gắng viết tiếng Anh tại đây nhé, chúng ta phải thể hiện sự tôn trọng fans quốc tế. P/s: Đây sẽ là bài viết T. Việt duy nhất của mình, mong các bạn lưu tâm đừng để mình phải nhắc đi nhắc lại nhé. Chúc các bạn vui! 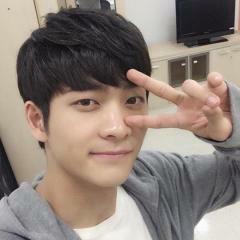 Kang Tae Oh born in 1994 is actor starred Junsu in Forever Young drama. Although only 22 years old but he played manyTV series love and war, Miss Korea, Twenty years old. 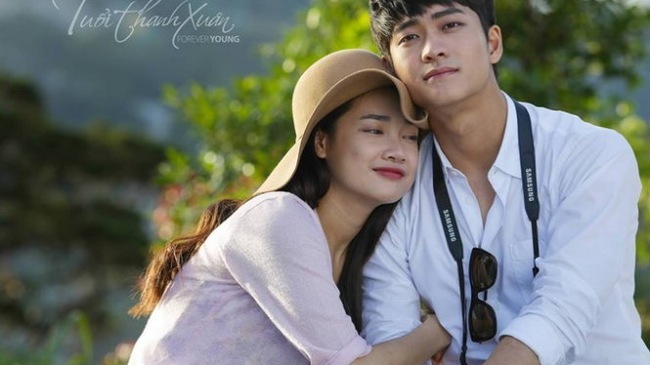 In Forever Young drama, he plays a Korean man is love with a Vietnam girl Thuy Linh(Nha Phuong). Not only is the actor KTO also the singer of the Korean group is 5urprise. Unlike other Idol group,began his carrer as a singer and then though acting, 5urprise group did the opposite. In thear first project, they debuted as an actor with the film After school: Luck or Not. KTO impressed by handsome face and body man masculine picces. In Forever Young drama, Junsu wrote From my heart song, this song writting donated Linh Vietnam girl that he loves. Especially Junsu also give her a pendant necklace with a heart to show your love for the unfaith full lover. @peejaycee16_stv: Don't ever worry at all. You have our warmly welcome here. The drama is now airing on Story On channel in Hansub. Engsub will available soon on channel M which is aired widely in SouthEast Asia from July 6th, 2015. Hope you will enjoy it! Love'd come as a destiny we couldn't ever figure out. Love'd make us as happy as holding the whole world in our hands...but also...somtime...be drowned in hopeless and misery. One-sided love, two-sided love or love be to endure for others,...are all valuable and adorable! Anyway, after all, it's just our beautiful youth...the finest days of our lives...will be Forever Young! Well, i could see a part of me in FY...and you? I have Channel M in our TV and I really want to watch it there but it airs at 8:00 AM. I cant watch because I have to go to work. I checked the schedule of programs hoping that there will be replays but none. I REALLY WANT TO WATCH IT!!!!! I hope Engsub will be updated online as soon as possible! Keep an eye out for it and recommend this drama to as many people as possible! FY film was aried on Chanel M day 6/7. With the frist episode you have to see the interests and hobbies of the youth featured in Viet Nam, especially in Ha Noi youth were sidewalks iced tea, chatted together and take a selfie photography happy together. And this hobby has gone into that song for you. You see the first episode of the collective emotions that you like. I'm curious to know if you like me , i saw very interesting. If you this movie and enjoy it or share that enjoyment with your friends offline. I did not know it and i always introverted. But when watching this film, i feel remorse for the five moths of my students do not have good memories with theri friends at all. But it also gives me a sense of joy when watching this movie and i have felt the power of youthful enthusiasm over the character. But i see myself always thought it was wonderful. That was my feeling when watching the first episode of the series. Thank you for reading my center lines. You please share with me about it this film. Thank you very much and over here i want to make friends with everyone though unknown to each other but we also have at least some of the same interests as loved this movie. Guys I was finally able to watch it on TV! I arrived late in my work though haha. Anyway, Junsu is so cute, he's falling for Linh but wont admit it. Sigh..They are fighting again. Junsu is saying things that he doesnt mean which hurts Linh. Linh to Junsu: "Do you really hate me that much?" Anyway, Linh is so pretty in her pink dress (ao dai?) Junsu is stunned. Oh no the family is teasing Linh and Khanh. Junsu is vey funny acting jealous. By the way, the Vietnamese girl Mai is so beautiful! That lucky student Ji Yong. Anyway Im enjoying this show very much. I hope it will also be available in the internet with English Subs or else I will continue to be late in my work LOL. I just love every single detail in your comment and I can guess you were talking about the episode 9 because I have been watching this countless times. Just like lightning, Junsu is smitten by the hug Linh gives him on Namsan tower, but he fall head over heels for her when he can't take his eyes off Linh in graceful 'ao dai'. From that evening on, he has eyes only for her and starts doing weird and funny things. Annyeong everyone, can I know where can I find this drama online? Or is there any torrent download? Warmly welcome you to this topic! The show has been airing on Story On channel (Korean subtitle, 7am Tue to Thur) and on Channel M (English subtitle, 8am Mon to Fri). But unfortunately, there is nowhere to watch either English or Korean subbed version online. I still hope that someone else will upload the show with Engsub online later. Anyway, glad to know you enjoy this show, please share your feeling with us so that we all can keep the topic busy until we find Engsub online for the others. Right now my busy schedule doesn't allow me to keep updating anything related, but if you and other friends here could talk more about the show in detail that would be great. We still hope the engsub will be uploaded online but probably not anytime soon yet. We will try our best to get the Engsub uploaded later, so please be patience... . I also posted the raw link for you guys to watch online under my recaps till ep. 5 in 1st and 2nd pages. Hope nothing turns bad on that belated work day of yours keke :D. Remind me so much of my Forever Young days, I did try my best to take a good nap at my office instead of go out and have lunch with ppls, just because I don't have much time left since I have a fulltime job and 2 kids to take care for afterwork. So my out of work & out of duties (as a normally super busy mom) time is almost zero. To have extra time on FY and anything related to FY stuffie, I willingly cut off my time for sleep :D. And can't you believe that after that "nap-at-noon" times (nearly half a year), I said bye bye to some kilos (lucky me!)? My dearly colleagues shout out at me coz I skip lunches for days and call me a kind of crazy for love one (lol). Dang! she's right in every single word. I just feel like I'm in love again that I don't need any food or sleep, and all I do is waiting for "my love" till the day he "comes". Sometimes I just suddenly smile for nothing. =)) . And yet I'm nothing more than a foolish for love (w FYoung). haha totally getting back all those young days of mine! update : today I see a Thai fan girl who travelled all the way from Thai to Korean just to wait outside Fantagio (KTO's company) to see Tae Oh and get his autograph and hug and do selfie thing with him. Teeny fangirl in me was sooo jealous and I've just made a wish If I could be at that age again, I'd do same thing like her :)). She reminds me so much of Linh waiting outside the company to wait for her "Eunhuyk oppa". Cute ! but poor me, I'm not a teengirl anymore and maybe with TaeOh standing right at my place I think I would never get enough courage to run to him and ask for autograph or selfie or anything else huuuu.How poooor an old fan is!